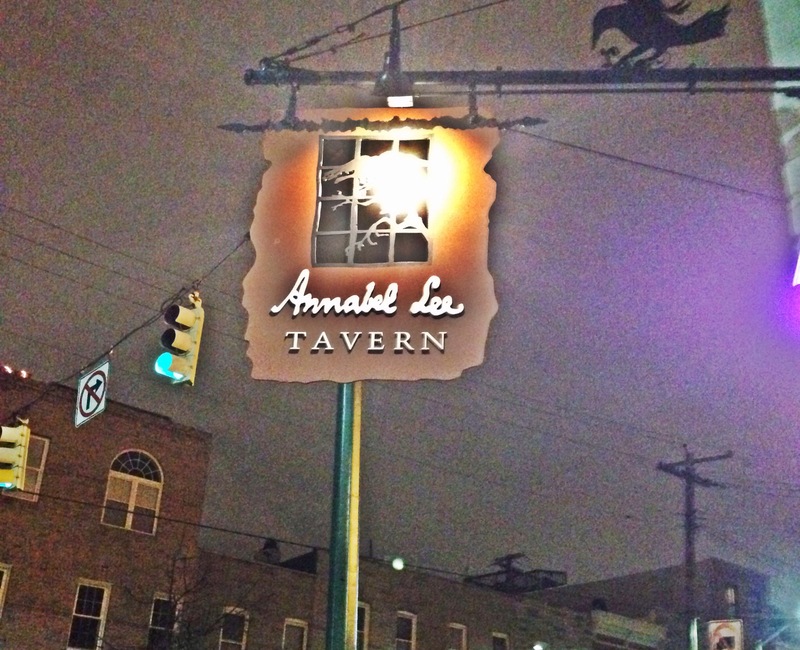 Annabel Lee Tavern – eating my way through Charm City! This spot has been on my list for a long long time. I have heard so many good things, and this post will likely confirm your thoughts. I like it here. The bartenders are delightful, but not exactly gregarious. The drink selection is exactly what you would expect at a bar in Canton – a basic selection of wines and spirits, including hendricks and bulleit, but nothing super unique or inspiring like at Bar Liquorice or Of Love and Regret, and they certainly do not use any egg whites. 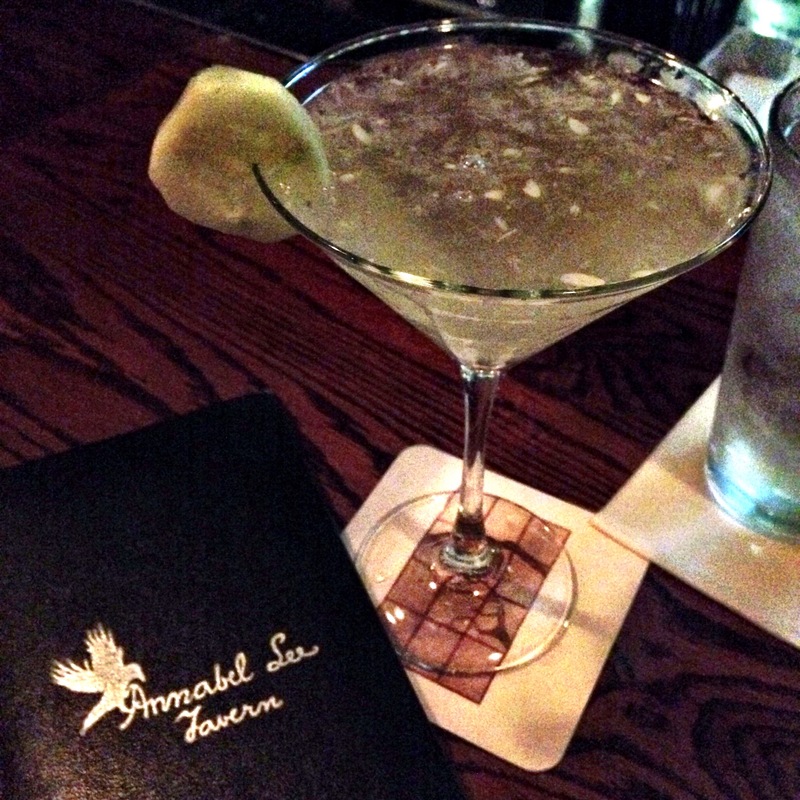 I opted for a Morella – named after a dark gothic Poe short story – which includes Hendrick’s Gin and St. Germain with a cucumber muddled with just a dash of simple. I was worried it was going to be sweet – it wasn’t. I loved the botanicals, but it didn’t quite work with the food. Ha. Poor choice on my part. The Mesmeric Revelation, however, went will with everything. I needed a few sips to get a feel for the taste. This was one was an expertly stirred combo of Bulleit Bourbon and fresh lemon, with a little bit of black raspberry liqueur and a dash of simple. Not normally my go to, but it was tasty since it also wasn’t as sweet as I expected. When these bartenders say dash – they really mean just a dash, not a heavy 1oz likes some places. I was starving and couldn’t look at the menu without wanting everything I read, so I passed on the selection making. 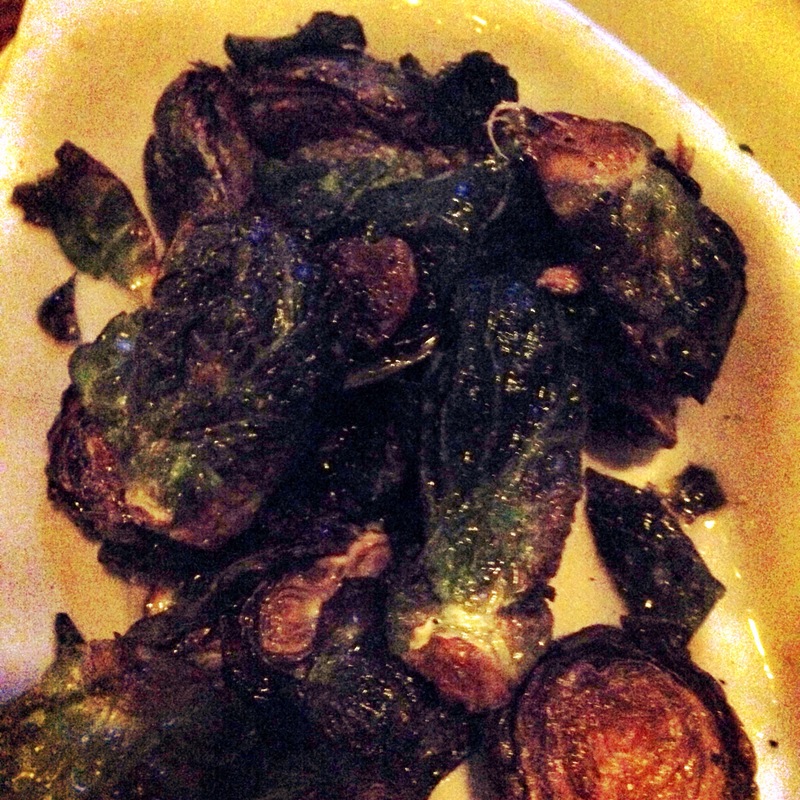 We started with the brussels sprouts and sweet potato fries. 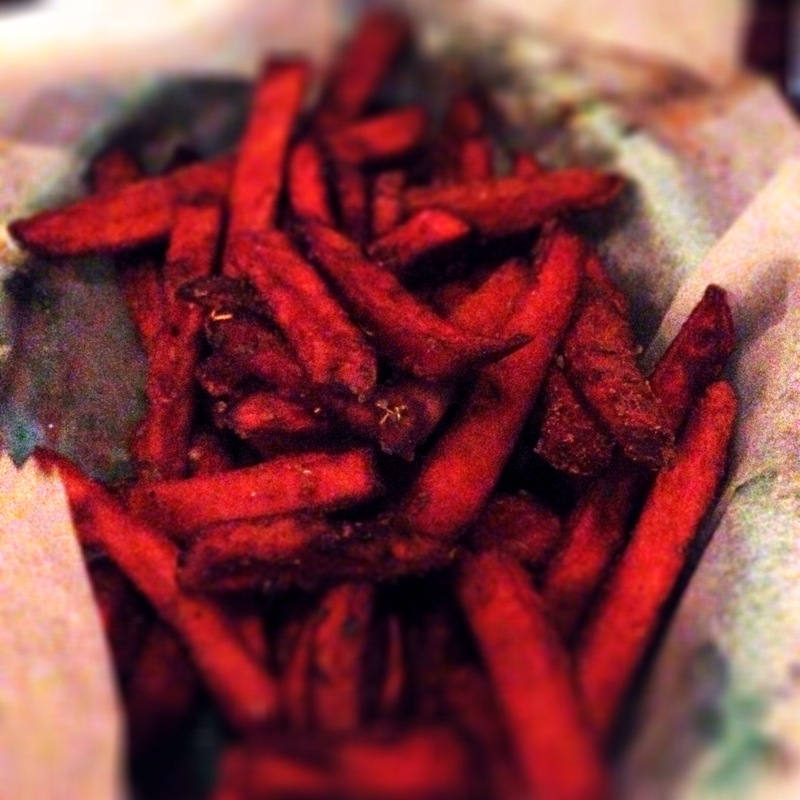 Please, if you read this blog, you know I can’t turn down a single french fry – these were tossed with some Cajun spices, but the heat was pleasingly balanced by the slightly sweet brown sugar glaze. The sprouts were my favorite. They were crispy and a little browned on the edges and still tender and warm on the inside. I liked the honey glaze, adding just a hint of sweetness to the bitter veggie. These are not your richest brussels, but Annabel Lee lets the vegetable shine rather than slathering it with bacon and cream, (but who doesn’t love bacon and cream?). This entry was posted in All Good., Canton, Charm City, Drinks. Bookmark the permalink.